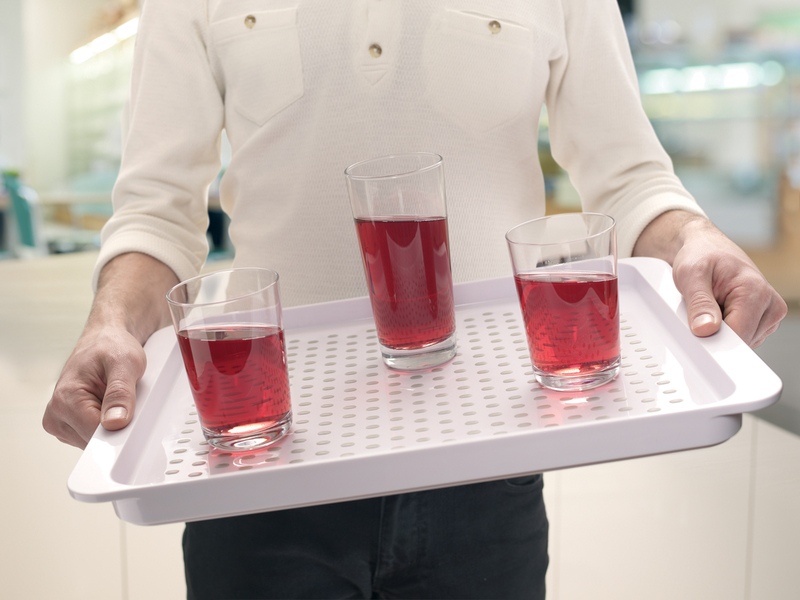 The newly launched Grip Tray™ we’ve designed for Joseph Joseph, is a highly functional, non-slip serving tray is designed to keep glasses, cutlery and plates safely in place during their journey from kitchen to table. Its distinctive, high-grip surface is formed from an array of smooth rubber studs that are moulded through the base of the tray. Made from high-quality ABS plastic, the tray has deep sides and large carry handles, along with a rubber underside, making it suitable for use as a lap tray.